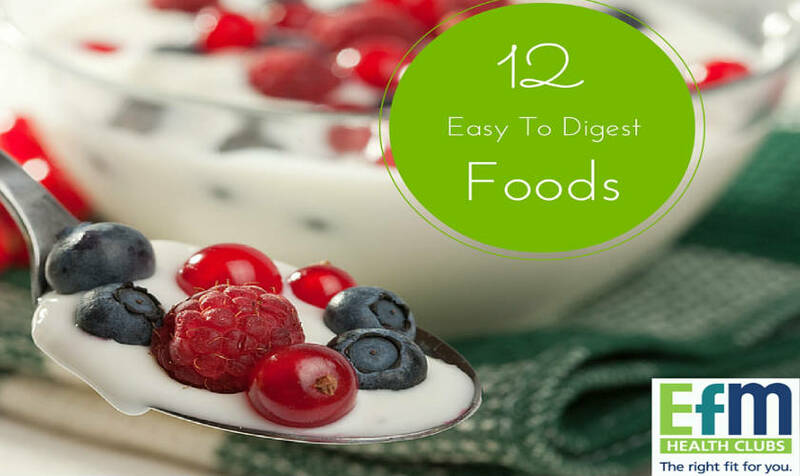 Whether you’re trying to eliminate existing digestive issues or looking for something you can quickly digest before a workout, it’s important to find foods that are easy to digest plus that you actually enjoy. You also want to make sure they provide optimal nutrition to get you through your day. Both brown and white rice are great for your digestive system. White rice is easier to digest but brown rice contains an even more impressive nutrient list, so choose your type of rice based on what is most important to you. At some point when you’ve had a stomach ache or flu you’ve probably ended up eating plain toast or toast with just butter to feel better. The reason this works is because toast is full of simple carbs that aid in the digestive tract. Of course, white bread comes with it’s own set of potential negative outcomes and the gluten in bread is often a cause of stomach issues. Where possible, opt for brown bread and if you’ve never tried gluten free bread, perhaps give it a go! Yoghurt is both easy to digest and full of good bacteria that actually helps your stomach digest other things as well. Try to stick to yoghurt without flavouring as these come with all kinds of extra sugar that can mess up your system, but feel free to add some fruit to make this a more delicious snack. As long as you’re not allergic, you’ll find that nuts are incredibly easy to digest, as are most seeds. These foods contain a number of omega 3 fatty acids which digest quite easily and many also contain natural oils that improve overall digestion. There’s a reason eggs are part of so many breakfast traditions: they’re incredibly easy to digest and chock full of protein. Is oatmeal easy to digest? You’ll want to stay away from packaged instant oatmeal because of the amount of added sugar, but oatmeal made from raw oats and flavoured with honey is one of the most easily digested foods out there. It’s also one of the most nutritious whole grains. The health benefits of avocados can’t be overstated. They contain a wide range of nutrients as well as a number of healthy fats which make them easier to digest. Turkey is a lean meat and one of the healthiest meats you can actually eat, particularly when baked or boiled. Sauerkraut might be an acquired taste but it is incredibly easy to digest. Sauerkraut is fermented cabbage and fermented foods are actually an excellent source of good bacteria which helps your digestive track. A super simple carb packed full of potassium, saltine crackers are easy to digest and one of the best go-to foods when you have a stomach ache. When it hasn’t been fried chicken is actually one of the easiest foods to digest. As a lean meat it is also a great choice for health and weight loss. Bake, boil or broil it for the easiest digestion. Salmon is one of the most popular types of fish and there’s good reason for this—it’s also one of the lightest, making it incredibly easy to digest. White, flaky fish are also easy to digest. These are only a handful of the many delicious and nutritious foods that can be easily digested. Whether you’re struggling with digestive issues or simply looking for healthy meals to eat before a workout, creating a meal plan you’ll love and be able to digest is remarkably easy.